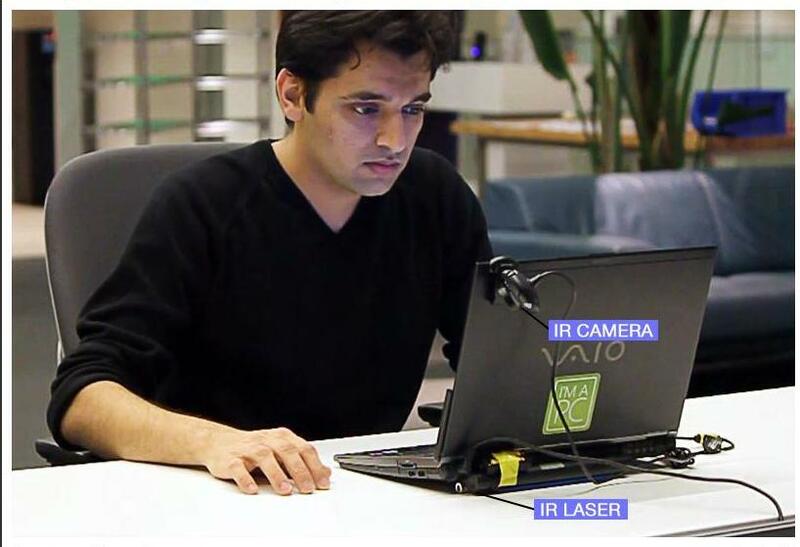 After coming up with the popular invention of Sixth sense technology Pranav Mistry, Pattie Maes and Liyan Chang from MIT's Media Lab have come up with a new innovation the Invisible computer mouse. No Doubt mouse is a very important peripheral of the computer, over all these years it has steadily gone through changes from losing the tracker ball to getting laser tracker for improved precision, becoming wireless to turning in to a touch sensitive pad found in a laptop and there are a ton of other mouse design concept that people have come up with, but no one had every thought of turning it invisible. The invisible mouse is no alien technology! There have been a lot of advancement in multi-touch, gesture interface technologies but all these technologies have not been explored to their full potential. The mouse still has the same kind of buttons since it was first made. When it comes to Pranav Mistry's mouseless interface it consists of two major components, an Infrared (IR) laser beam and an Infrared camera. Now the laser beam is modified by fitting it with a line cap which creates a plane of infrared laser just above the surface where the computer is placed. 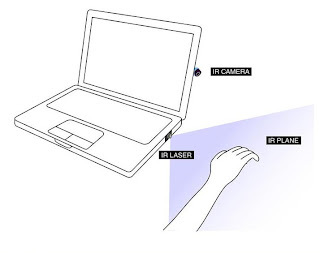 Now the user has to place their hand like they are holding a real mouse, the IR beam covers the hand. Now the IR (infrared) camera detects the hand movements and creates what is called blob (interpreted by computer) the change in the IR created by the hand movements is thus detected by the computer and the cursor thus move the way you move your hand on the surface just like a real mouse. When you tap your index finger it is able to detect a click. The best part is it just took these guys 20$ to create this prototype. As you would see in the video it is just made out with off the shelf components. Mouseless is now in its prototype stage the team is working on improving its computer vision algorithms, an extensive library of gestures could be implemented in addition to mouse movement and mouse clicks after further development.